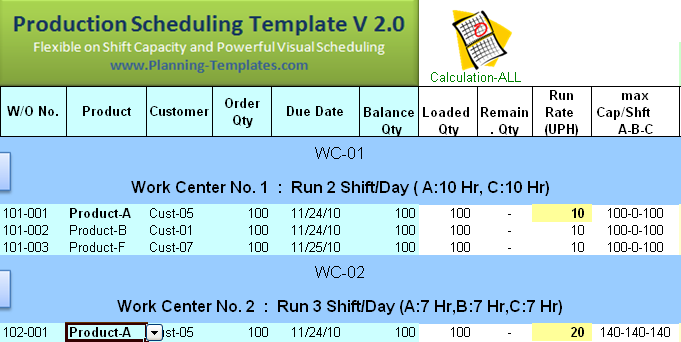 Production Planner or Scheduler can load Job Order in Shift Schedule to meet Customer Order Due Date. Provide visual control tool to alert them when out of Due Date or Over Capacity! 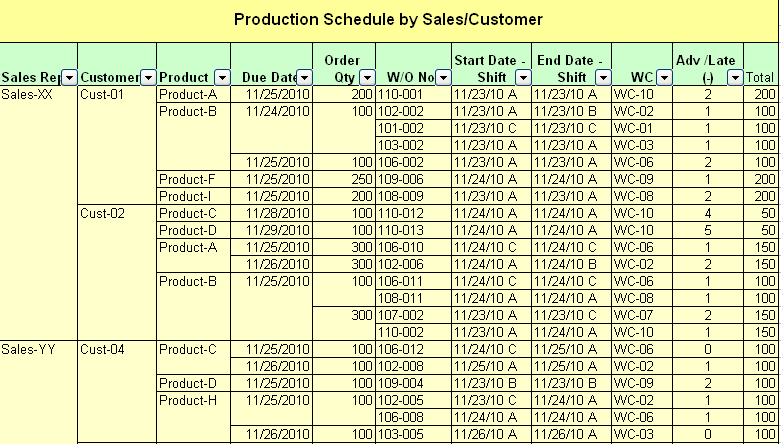 You can mix the different number of shifts per day in the same production schedule. You can have 60-day Time Schedule or 180-Shift Time Schedule, but you can feel free to filter for reporting propose in one page. Want to see more powerful products?